Do you want perfectly defined and filled-in eyebrows in an instant? Then, Rimmel Brow this way styling gel is for you. 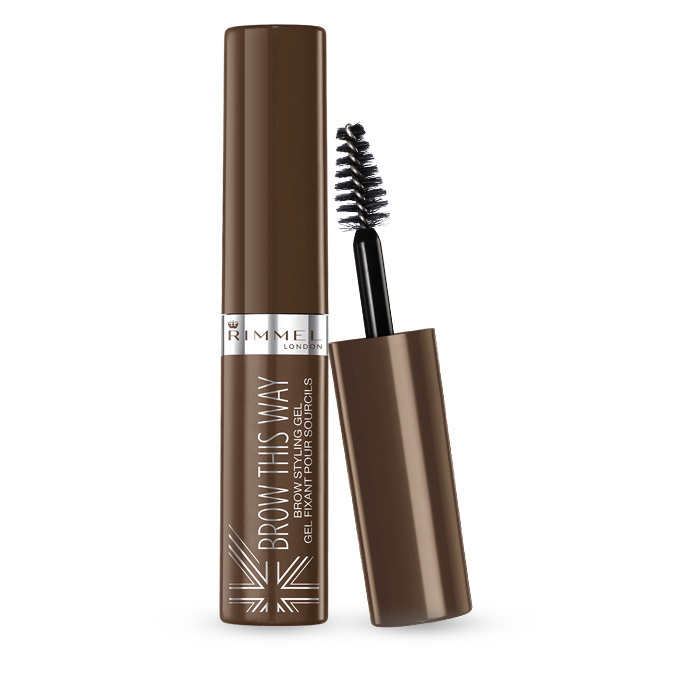 I picked up Rimmel Brow this way styling gel in Boots a few weeks ago after a recommendation from a colleague and i am so impressed with it and am using it everyday now. I am all for cutting down my beauty regime and saving time in the mornings before work. Usually, i have about 5 minutes max to put on my ‘work-face’ and so the eyebrows generally get ignored in favour of more pressing issues like, dark circle concealing and making my sleep-deprived face look awake as much as i can. But thanks to this gel, my brows are back in the daily make-up mix. The product is a gel-like formula with a mascara applicator lasts all day and doesn’t fade or smudge. It will put manners on unruly brows and add colour and fill in patches. It’s must easier and quicker to use than powder based products in my opinion. Have you tried it? Let me know what you thought of it.